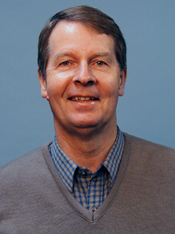 Jorgen Frederiksen obtained his BSc from the University of Adelaide in 1968; his BSc Hon. First Class from the University of Adelaide in 1969, his PhD from the Australian National University, Canberra in 1972 and a DSc from the University of Adelaide in 1988. He was a postdoctoral fellow at the University of Groningen, the Netherlands from 1972 to 1974 and a Rothmans Fellow at the Australian National University in 1974. He joined CSIRO in 1974 rising to the classification of Chief Research Scientist in 1996. He was a Visiting Scientist, NCAR, Boulder, USA in 1980; a Crafoord Fellow, IMI, Stockholm, Sweden in 1983; and a Visiting Scientist again at NCAR in 1996. He is internationally recognised for his expertise in atmospheric research and has authored more than 100 journal and book chapter publications and a similar number of conference and technical papers. He has presented more than 100 invited and keynote talks at national and international scientific meetings, universities and major research institutes and a larger number of contributed talks and lectures. He served as Associate Editor QJRMS from 1987 to 1992 and a Board Member Tr. Atmos. Sci. from 1997 to 2002. He was an Honorary Research Associate at Monash University from 1995 to 2000 and Visiting Fellow at Australian National University since 2003.